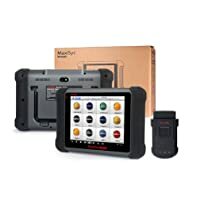 Autel MaxiSys Pro MS908P is the best quality scanner for mechanic shops. 2.3 Why Autel MaxiSys Pro MS908P? 2.4 Does Autel MaxiSys Pro MS908P Suit You? 4 Is It Worth Buying Then? The device is not suitable for the low-end mechanics as the operational procedures are quite complicated. It mainly targets professionals in Auto-repairing and Garage Shops. 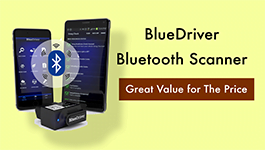 It is a high-end product and is not affordable for everyone who would want to use. Can perfectly perform J2534 ECU programming. Cons Possible vehicles Communication issue. Possible car compatibility problem (For Specific Vehicle models, visit Autel official website) Supports ECU Programming for BMW and Mercedes Only. 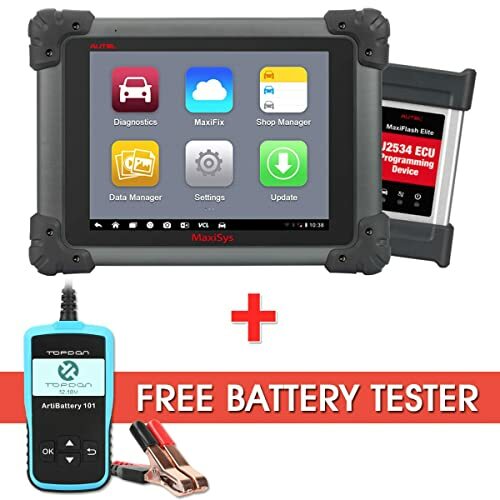 Bottom Line Autel MS906BT is the perfect diagnostic tool for technicians and mechanics who want to do advanced ECU Coding. Autel MS906 is the perfect diagnostic tool for technicians and mechanics. Autel MS908P is excellent for mechanics who often work with Vehicle Repair & Maintenance. Autel Maxisys Pro MS908P is an all-around and powerful tool that I would definitely recommend to any professional mechanics in the auto-repairing business. Autel is very good with after-sale services and you are assured of getting updates every time they are done. So, you’ve got what you need about Autel Maxisys Pro MS908P. Take one for your professional business!! 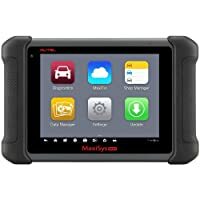 DESCRIPTION – Autel Maxisys MS908P Diagnostic Scanner-OBD2 Automotive Scan Tool with Maxi Video MV105 including ECU Coding, ECU Programming and Video Inspection for Professional Tachnicians. The System Shall Include all Required Accesses for operating and service, software updating, carrying over and storing.